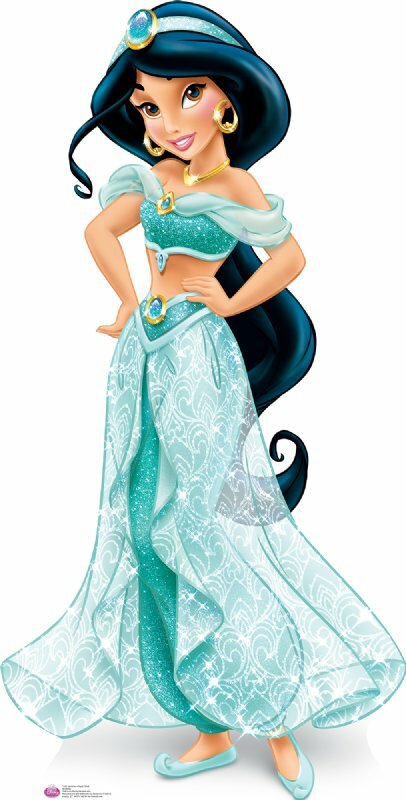 Walt Disney تصاویر - Princess جیسمین, یاسمین. The new look of جیسمین, یاسمین. Wallpaper and background images in the Disney Princess club tagged: disney princess aladdin princess jasmine. This Disney Princess photo might contain ڈنر کپڑے, رات کے کھانے کے گاؤن, رسمی, شام کا گاؤن, رات کے کھانے کپڑے, رات کا کھانا گاؤن, گاؤن, gown, bridesmaid کی, غیرت کے نام پر نوکرانی, لوکنی, and نوکرانی کا اعزاز. I like her new outfit. scroll down to where it says "Disney Princess Royal Debut"
I don't like how her hair looks in this picture, in others it looks more realistic not like is going to fall off. She looks younger here... no comment.